Seasonal marketing is an opportunity to experiment and introduce new programs and campaigns into your regularly scheduled programming. Coming off of the winter months, people are often more active and looking forward to time outside with family. PT clinics can attract new patients and reactivate past with fun spring marketing ideas. Let’s see how you can grow your practice. Many physical therapy clinics spend a lot of time creating Facebook and Twitter profiles, but forget to update them. Use the springtime to brighten and refresh profile pictures, cover photos, and information. Make sure your profile picture includes your logo at a clear resolution and large enough size. Choose a cover photo that either shows your practice or happy patients in physical therapy. This could be an image of your location, staff photo or a stock photo of someone receiving care. Make sure you look at your social media profiles on both a desktop and mobile device. Most people access Facebook and Twitter via their phones, so it’s important that your photos look good at a smaller scale. Bookmark this cheat sheet for easy reference on social media image sizes (updated for this year). Warmer weather has people outside and looking for things to do on the weekends. A fundraiser or charity event brings people together and can be a great spring marketing event. Every event needs to have a sponsorship agreement that articulates responsibilities and expectations of the businesses or groups involved. You want your PT practice to be properly represented on marketing and to maximize its return on investment. A pro tip is to ask a referral partner to join forces—doctors’ offices are often looking for marketing events too! You can build the referral relationship while both attracting new patients and increasing community engagement. Seasonal content instantly feels relevant and helpful to prospective patients. 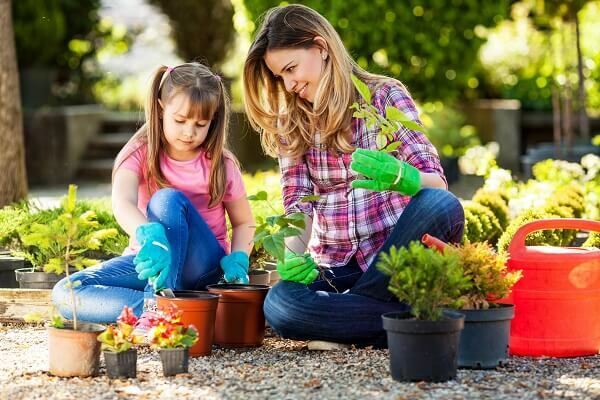 Your newsletter can feature an article on yard work or gardening tips to prevent injuries. Postcards should include references to spring sports like golf, baseball or track. Write blog posts on safe running and cycling, protecting your back during spring cleaning etc. and share these on social media. Spring training and sports seasons often last longer than their fall and winter counterparts. Schedule time to introduce yourself and lead physical therapists to coaching and athletic department staff. These are the frontline folks who advise athletes on injury prevention and treatment. If you are top of mind for PT, they will recommend that their players see you for care. You can also look to partner for sports physicals and pre-season evaluations. These appointments are easy, quick and can build care relationships early with both the athlete and their parents or coach. This spring marketing idea leads into summer and fall too. Most people move and relocate during June and July after the school year has ended. These families are new to the community—which means you can make the first impression as the premier physical therapy clinic. Reaching out to the local Chambers of Commerce is a starting point for building your local business network. They can often point you in the direction of various Welcome Wagon organizations or HOA partners. Ask to include your brochures in their packets. You may also be able to have a list of their mailing addresses to add to your newsletter and postcards. Lastly, they might offer a directory of members on their website which can increase your online presence. These are just a few spring marketing ideas to help grow your physical therapy clinic. For more tips and expert advice, visit our blog or Free PT Marketing Resources page today!